When I saw a blog post by Golf.com with the title “12 New Golf Shoes to Improve Your Game” I cynically left a Facebook comment saying “those adverts don’t sell themselves, good work guys!“. Meaning that I thought this was the type of post made just to keep advertisers happy and to also to create a need for shoes that will improve your game, when they don’t. 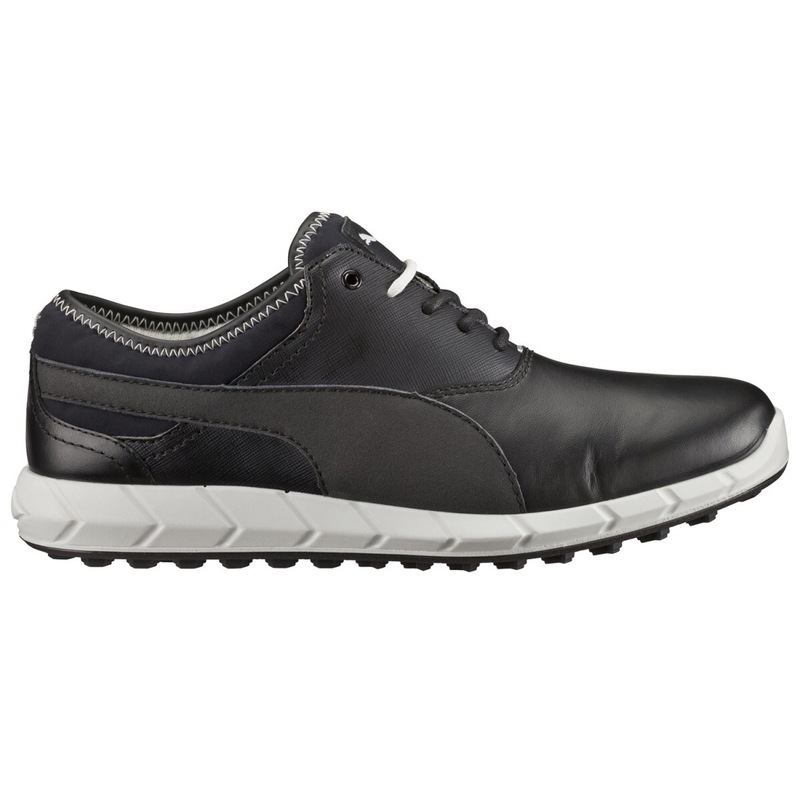 Good golf shoes need to be comfy and stop you slipping, but almost any golf shoe can tick those boxes. Only one pair of shoes that I’ve owned in quarter of a century as a golfer have made me think “wow these are something special”. Those shoes are the Puma Ignite Spikeless Golf Shoe. TLDR: Great Spikeless golf shoes, which are light and perform well. They aren’t quite “normal” enough to wear off the course but they are certainly comfy enough to keep on all day around the club”. My first impression of these shoes were that they are quite conservative in look, which isn’t a bad thing. No harsh contrasts or even any orange. A simple and clean design, with a nod to Puma’s iconic logo made sure I chose these shoes. As a golf pro I have worn these to meetings before or after a game and not felt out of place. I’ve played a few games in these shoes, and they are holding up really well. One of my games was after a heavy downpour of rain so the course was really boggy. Although I had to keep my wits about me they shoes provided enough support that I wasn’t worried about slipping during my swing. The standout feature of these shoes was comfort and that, I think, is because they are so light. They really feel like walking on air. I am certainly going to wear these shoes with love until they fall apart, which won’t be for a long time! Prev Review: Tucan Golf & Country Club, the golf course.